About Enhancing Health And Nutrition - Entera Health, Inc. 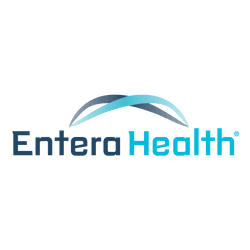 Founded in 2011, Entera Health is one of seven independently operated, privately held companies within The Lauridsen Group, Inc. (LGI) dedicated to discovering and producing products to enhance health and nutrition. In 2013 Entera Health launched EnteraGam®, a medical food product intended for the dietary management of chronic diarrhea and loose stools, in the United States. EnteraGam® is commercially marketed by RedHill Biopharma (NASDAQ: RDHL) (Tel-Aviv Stock Exchange: RDHL)*. Opportunities exist for commercial partners to promote EnteraGam® in other ex-US global markets. In addition, Entera Health is pursuing partners to manufacture and distribute products that contain their proprietary ingredient, ImmunoLin®, into US domestic and international health and nutritional supplement brands. * RedHill Biopharma Ltd. (NASDAQ: RDHL) (Tel-Aviv Stock Exchange: RDHL) is a specialty biopharmaceutical company headquartered in Israel, primarily focused on the development and commercialization of late clinical-stage, proprietary, orally-administered, small molecule drugs for the treatment of gastrointestinal and inflammatory diseases and cancer.